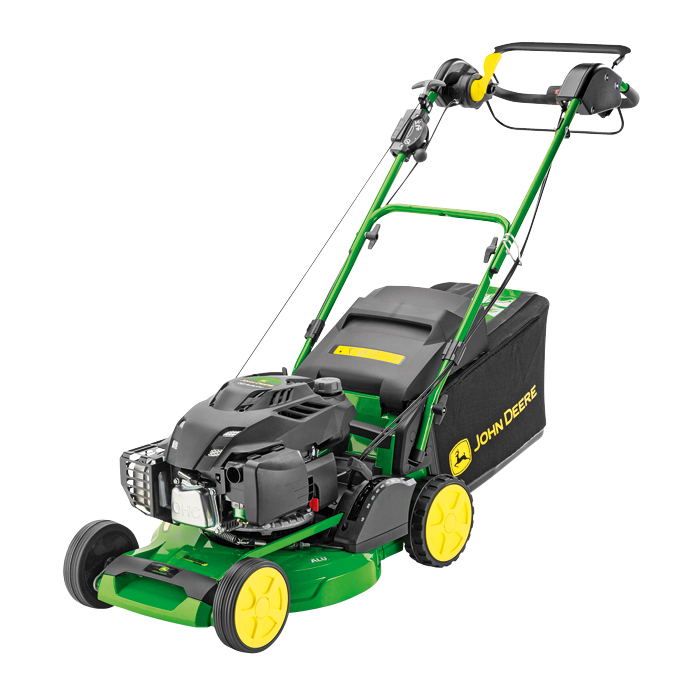 The John Deere R47KB self propelled walk behind mower features ball bearings in the front wheels for easier rolling on sloping, uneven terrain. 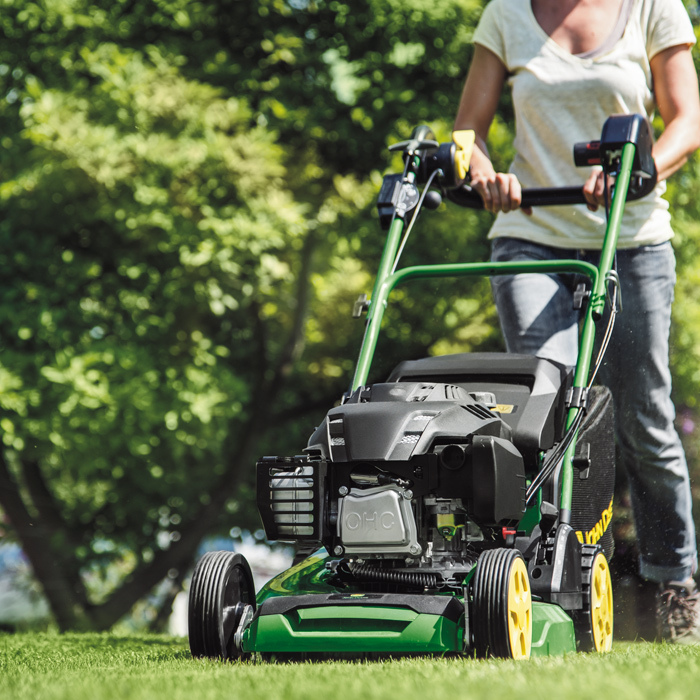 It is also fitted with John Deere's exclusive TurboStar Grass Collection System which provides an outstanding cut with unparalleled suction for dense packing of long grass and damp leaves. Plus, when the bag is full, the collector signal indicates when it should be emptied. Blade Brake Clutch - For added comfort, a blade brake clutch (BBC) allows you to stop the mowing blade without stopping the engine. This means that there is no need to restart the entire lawnmower each time you empty the collector. Simply re-engage the mowing blade and continue mowing. Variable Speed - A variable speed drive system means the lawnmower is easy to use and no pushing effort is required. A choice of different speed settings allows the operator to select the most comfortable.